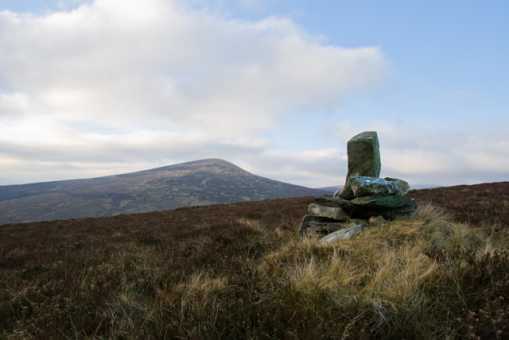 This is not the summit cairn on Ballinacor, although it has far more the appearance of that than the modest pile of stones that purports to mark the top, a short distance above it to the north. It can be found at T 1172 8636 C. I have no idea what its significance may be. A boundary marker, perhaps, or the whim of idle hands?